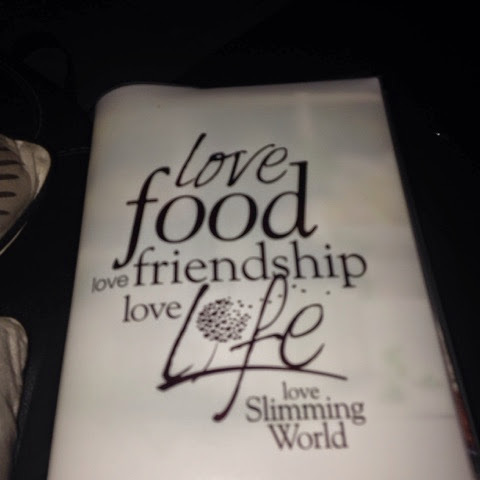 I had intended to write on Thursday evening about how I've found my first week in Slimming a World, sadly I fell asleep but I still want to put down my findings BEFORE a weigh in this morning. Ate more food than I've ate in ages and ages but it's all been healthy and nutritious and mostly unprocessed . Thought about food almost ALL day EVERYDAY! Not like craving food and feeling hungry, but thinking of recipes that include'free food ' and 'speed food' and how I can incorporate more! Despite my affirmations that I have 'no off button' for chocolate, I have more self control than I gave myself credit for. There have been 12 Freddo's, 5 Curly Wurly's and 12 Blue Ribbands in my larder for 5 days and I've only consumed 2 Freddo's (and counted them in my 'Syns') this is a massive difference because normally I could inhale a whole pack of Freddo's and feel no remorse ! Jelly Babies are evil and wicked! 1 Syn EACH! That's 1 each! Terrible and not worth it at all, sadly I found myself grazing on them when someone bought the kids a giant box full so I've been playing catch up all week! Slimming World makes you pump A LOT!! Honestly steer clear of Monkeyfeet HQ it's ripe!